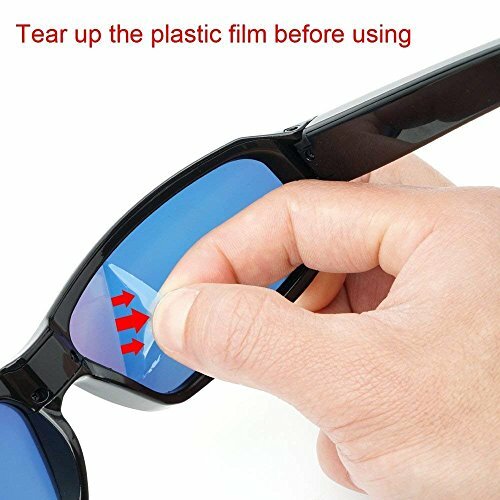 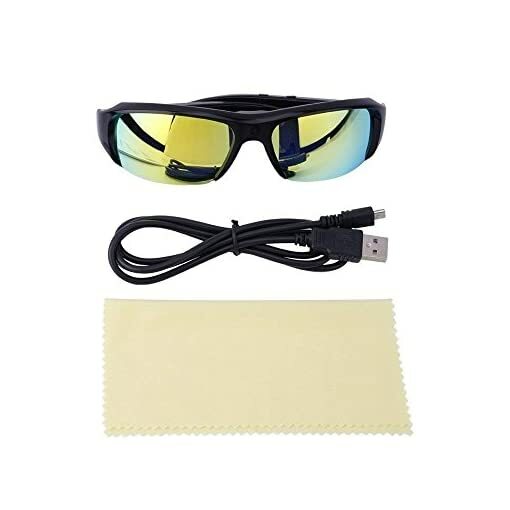 Oumeiou 8GB 1920x1080P HD Hidden Camera Sport Video Glasses Mini Eyewear DV Camcorder Support Audio Recording | The Best Spy Tech Store Online! 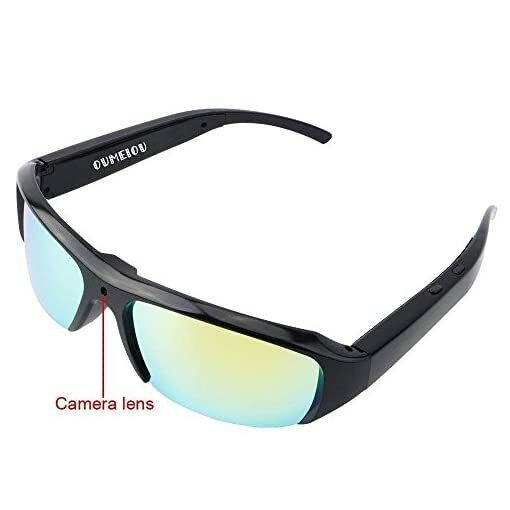 【Modern Cool Spy Sunglasses】Popular Sports glasses plus a hidden camera, it make great advancement in market of sunglasses. It suits for unisex person. 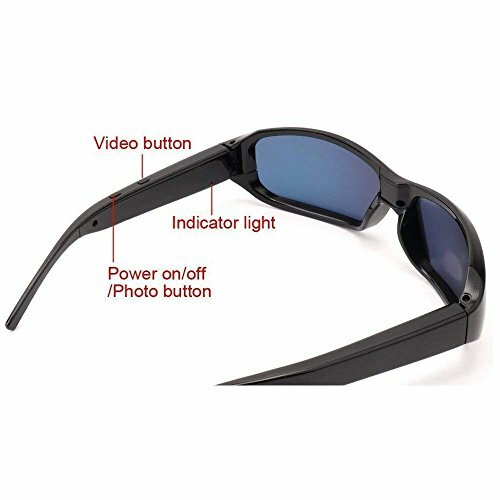 【Video Recording】 This camera will save video files automatically every 10 minutes, with AVI video format and 1920×1080 high video resolution. 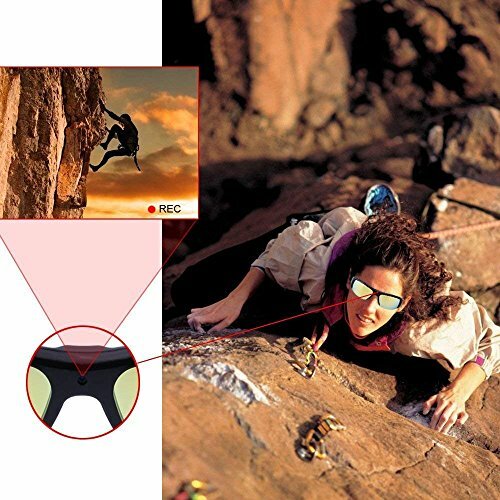 【Audio Recording】This camera supports audio recording also at the same time of video recording, so you can use it as a voice recorder. 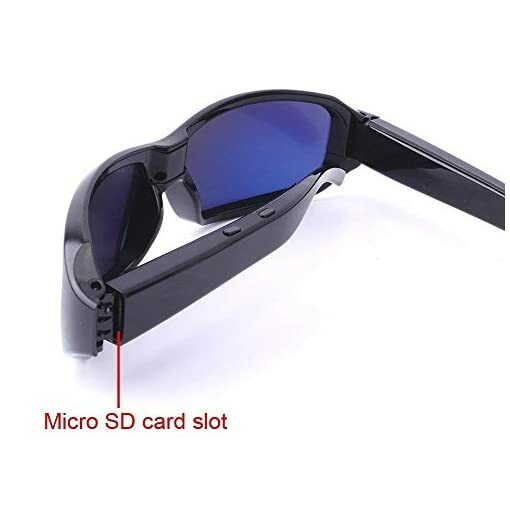 8GB Micro SD Card Built-in ,Support 32GB Micro SD Card in max;You’d better format your micro sd card before using. 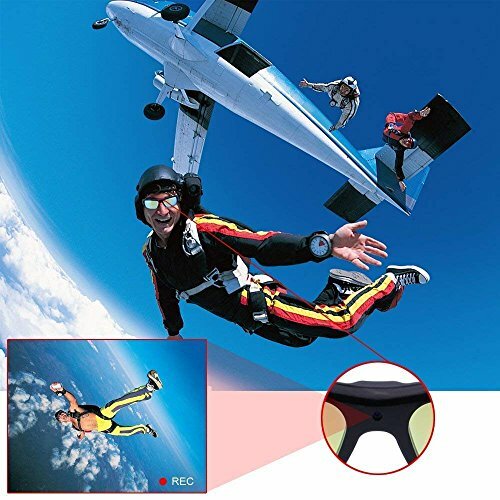 it’s a perfect gift to make you the hero of any birthday or upcoming holiday. 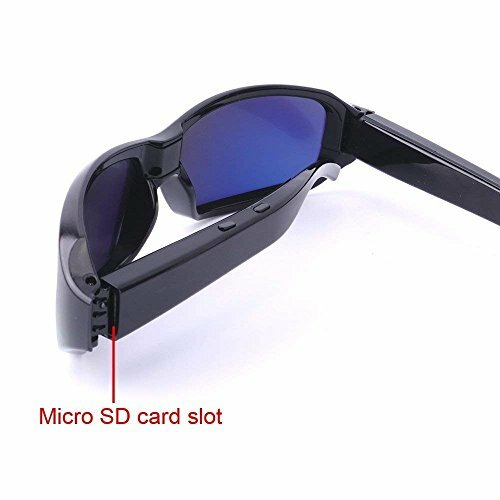 【Storage & Battery 】Support 32GB micro SD card in max, rechargeable battery built-in which can make a continuous video about 90 minutes if it is fully charged. 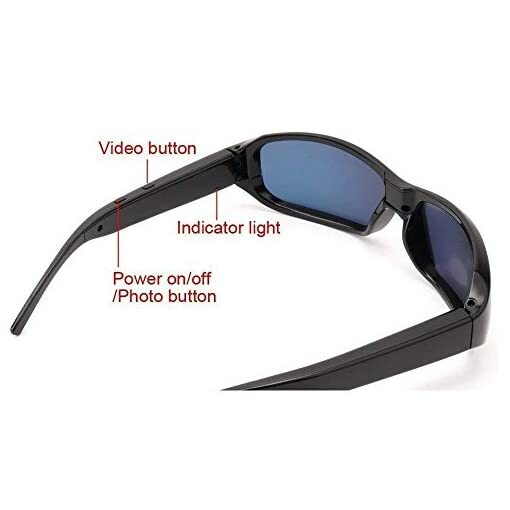 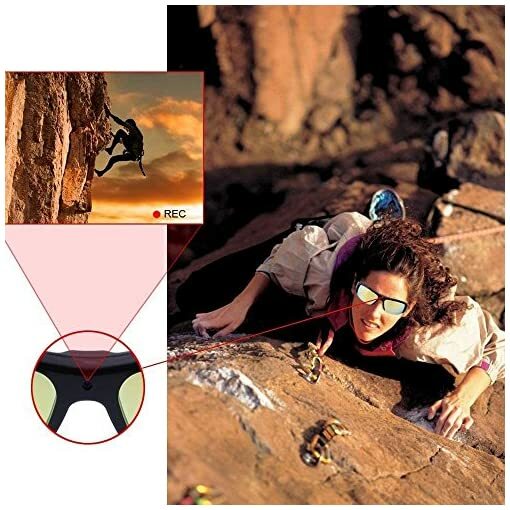 【Practical application】This hidden camera glasses will allow you take pictures or video as many as possible, don’t worry about to miss out leave the best moment in your life.